We're a small medical practice located in rural Carroll County Virginia near Fancy Gap and the Blue Ridge Parkway. We offer you Flexible Scheduling with the ability to walk in or call ahead to be seen. We can easily access your electronic medical records on Practice Fusion and YES! we accept Medicare. Contact Ben today to set up your next appointment. 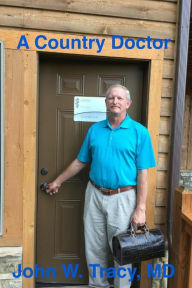 Susan’s brother and author of "A Country Doctor,” Dr. John Tracy, serves as a collaborating physician for Fancy Gap Medical Clinic. Together we offer your family quality, affordable health care. We are usually able to accommodate call ahead/same-day appointments during and after business hours and on weekends.